​Apes have a large brain. Apes do not have tails. Some apes have four feet, others have two. Apes can hang from their arms. Apes rely on vision rather than smell and have shorter noses than monkeys. Apes eat fruit, grass and small invertebrate animals. Apes can make and use tools for hunting. Apes can live for about 60 years. 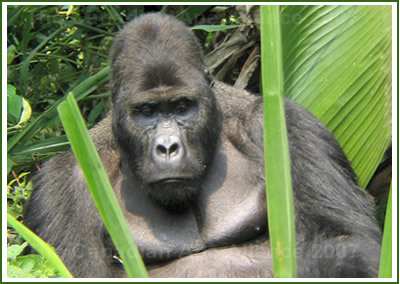 Apes can be found in Asia and Africa. 50% of Orangutans have broken bones from falling out of trees. Orangutans breast feed their young for eight years. Orangutan mothers never set their offspring down. They carry their babies and nurse them for eight years or more. Gorillas and potatoes have two more chromosomes than people. Gorillas sleep about 14 hours a day. Gorilla parents sleep with their offspring in a bed of leaves. Almost half of all Orangutans have fractured bones, due to falling out of trees on a regular basis. There are about 264 known monkey species. Monkeys jump and run along the tops of branches or on the ground. Monkey eat fruit, leaves, insects and grass. Monkeys can live for about 30 years. Monkeys can be found in Asia, Africa and South America. The Aye Aye monkey is found in Madagaska and is a highly endangered species. Snub-Nosed monkeys is endangered and lives in China. White-face Capuchin monkeys greet one another by sticking their fingers up each other's noses. Capuchin monkeys use the scent of urine to distinguish potential mates. Tarsiers are the world's smallest monkeys. The Burmese sneezing monkey sneezes uncontrollably whenever it rains. Capuchin monkeys pee on their hands in order to wash their feet.